HoneyBook, the business management platform that rallies creative entrepreneurs together into a modern union, today unveiled 20 On The Rise, a curated list of 100 individuals, or wavemakers, representing the diversity and power of the creative economy. The inaugural list celebrates up-and-coming entrepreneurs making waves through hard work and creativity across industries like design, event planning, and photography. The initiative is launched in partnership with Rising Tide, Gusto, and Peerspace to recognize those making an impact and to empower the creative economy to rise together, doing what they love. The 100 wavemakers represent 20 rising stars across five categories, nominated by the community and evaluated using HoneyBook’s company core values -- education, impact, purpose, passion, and community over competition -- so that, instead of merely hosting a popularity contest, HoneyBook’s judging process was based purely on merit. The five categories for this year’s list are: designers (ranging from graphic design to web design), makers (from calligraphers to ceramicists), image makers (from photographers to vloggers), event professionals (from DJs to florists), and creative entrepreneurship experts (from lawyers to marketers). Among those honored is Adam J. Kurtz, an international-bestselling artist and author whose illustrative work is rooted in honesty, humor, and a little darkness. His most recent book, Things Are What You Make of Them (Penguin Random House, 2017), is a collection of essays composed in his trademark handwritten style, focusing on the realities of being a working creative and highlighting all the emotional elements that come into play. Also on the list is Cassandra Niehaus, a queer wedding photographer specializing in LGBTQ+ weddings and celebrations. Operating under the belief that all relationships deserve to be celebrated, her mission is to create an inclusive and safe space where everyone can live and love openly. 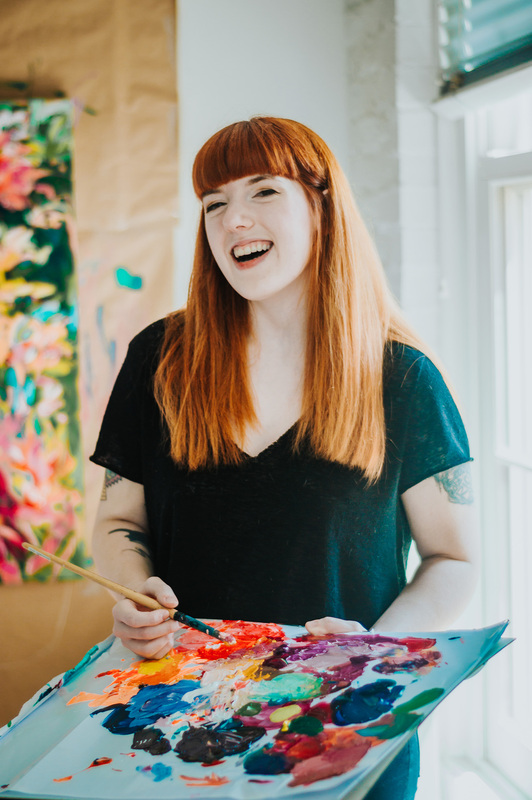 LGBTQ+ couples are often underserved by her industry, so Zetta also spearheads inclusivity education, with the goal of empowering wedding professionals to better serve this colorful community. Fellow wavemaker Andrew Roby left the Army thirteen years ago to pursue event planning, which he views as a storytelling opportunity for his clients. The stories he takes part in range from charitable organizations seeking to raise money to people with life threatening illnesses celebrating life. He strives to be a visionary in his work, pushing the boundaries that we have become accustomed to. He is best known for his outstanding table displays, mixing new palettes and textures, which he has honed since childhood. Katie Zautke, Founder, Owner, and Designer at Westward Wandering Co.
Becca Courtice, Owner and Calligrapher at The Happy Ever Crafter Inc.
Sarah Pete Rizzi, Owner at Sincerely Pete and Co-Founder at Wanderlust Wedding Co.
Jessmina Archbold, Social Worker and Author at Minaa B.
Marva Goss, Brand Strategist and Sales Coach at Marva J. Coaching Co.
Creative entrepreneurs and small business owners end up spending 80 percent of their time on uninspiring tasks, and only 20 percent of it on the reason they started a business in the first place. HoneyBook was founded on the belief that all creatives have the right to do what they do best, and provides the technical backend business functions so that creatives have more time to spend on their craft and less time worrying about proposals, invoices, and reporting. Now, with 20 On The Rise, the company is paying homage to the 20 percent by recognizing 20 wavemakers in each category who are using their superpower to pursue a life of passion and purpose, and blazing the trail for others. HoneyBook is the leading business management software for the B2B creative economy. Over 50,000+ creative entrepreneurs connect through its platform to manage their business, collaborate and share opportunities -- all in one place. HoneyBook enables creative entrepreneurs to focus more on doing what they love and less on administrative tasks like invoicing and payments. From first reply to final payment, HoneyBook makes it easy for people to book their ideal client faster, more frequently, and with less legwork. Founded in 2013, HoneyBook, is based in San Francisco and funded by Norwest Venture Partners and Aleph, among others. Learn more at honeybook.com.